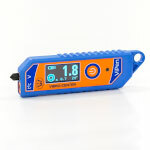 ViPen – Pen-type Vibrometer with the roller bearing diagnostics Compact Vibrometer-K1 means for conducting of measuring vibration in dimension of velocity (mm/s) in standard range of frequency from 10 Hz to 1000 Hz. 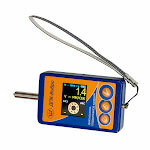 This device has only one button, it means that Vibrometer-K1 can be used by unskilled operator too. 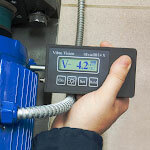 DPK-Vibro – Compact Vibrometer Compact vibrometer Vibro Vision is meant for checking vibration level and diagnostics of defects of rotary equipment. 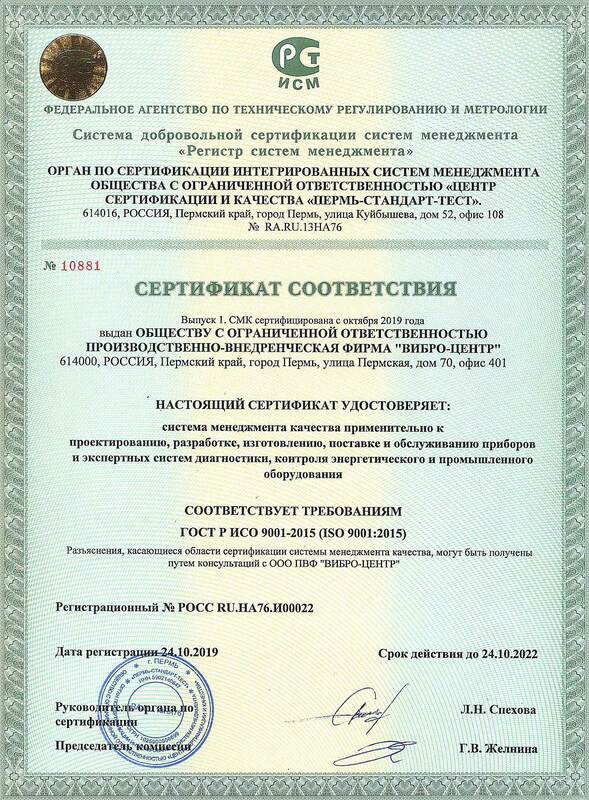 It also permits to measure general vibration level (mean-square estimate, peak, peak-to-peak), make on-the-fly diagnostic of state of ball bearings. 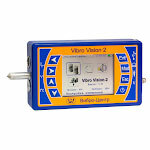 Vibro Vision-2 – Vibration Data Analyzer with the Function of Roller Bearings Diagnistics ViAna-1 – a single-channel vibration analyzer, a vibrometer, a device for roller bearing diagnostics and "on-site" rotor balancing The vibration double-channel analyzer (vibroanalyzer) Diana-2M is intended for diagnosis of a state and balancing of the rotated equipment. 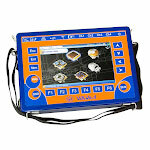 It is portable, small-size, effective and low-cost solution for diagnostic works most often meeting in practice. 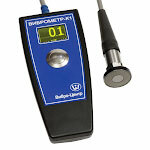 The device is simple and can be used by specialists of various level of vibrating preparation. It has small weight and keyboard protection. 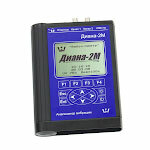 ViAna-4 – a multipurpose device for vibration measurement, vibration analysis and rotor balancing The multichannel synchronous recorder and analyzer of vibration the Atlant-8/16/32 is the modern device intended for solution most complex problems in vibration diagnostics of equipment. 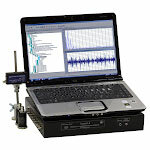 A basis of the vibration analyzer the Atlant is a transportable computer such as laptop and external block.